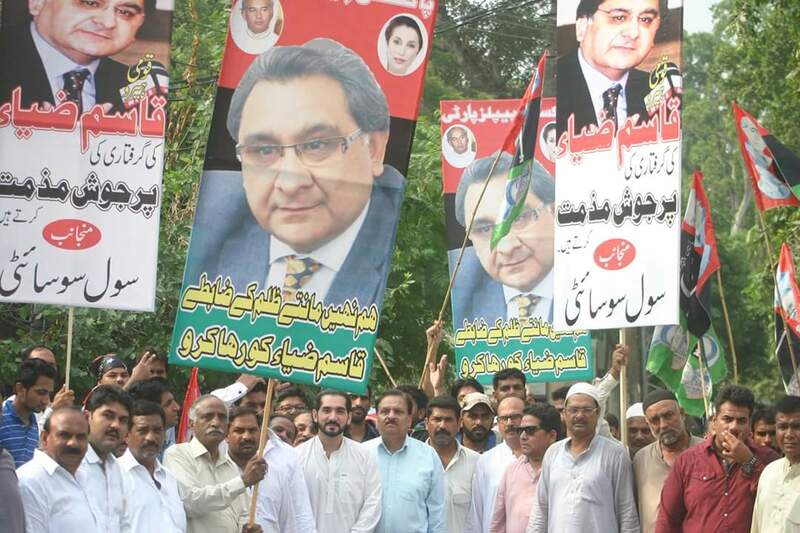 Lahore: The jail authorities have released Qasim Zia just before two days of Eid-ul Azha soon after Lahore High Court granted bail to PPP leader Qasim Zia.A large number of PPP workers warmly welcomed outside the jail and shouted slogans of jeay Bhutto. The court while hearing the bail application of the Qasim Zia,accepted his appeal and granted him bail against bond of one hundred thousands Rs.The lawyer briefed the court that Qasim Zia has offered NAB to pay back the amount so he should be granted bail.The NAB verified that pulley bargain deal and expressed no objection ,if the accused released on bail. Talking to media,Qasim Zia said he had done nothing against the law nor made any corruption,he will comment after reading the detail decision of the court .